Take a look at the five of the best promotions to roll through Cashman Field in Las Vegas. Editor’s note: This is the fourth in a monthly series that looks at some of the best and most memorable baseball teams and players to call Cashman Field home. The 51s will move into a new stadium, Las Vegas Ballpark, next season in Summerlin. Every year, minor league promotions seem wackier and more creative. Promotions and giveaways help drive minor league attendance almost as much as the game itself. The Reno Aces gave away a bobblehead of Indians pitcher Trevor Bauer with his drone cutting his pinky after the infamous incident in the 2016 playoffs. The Fresno Grizzlies routinely transform into the Fresno Tacos, bringing food trucks to Chukchansi Park. And stormtroopers take over ballparks every year, usually around May 4. Fireworks nights aren’t unique to the 51s, but team president Don Logan believes the team puts on some of the best in the minors thanks to the space they have. 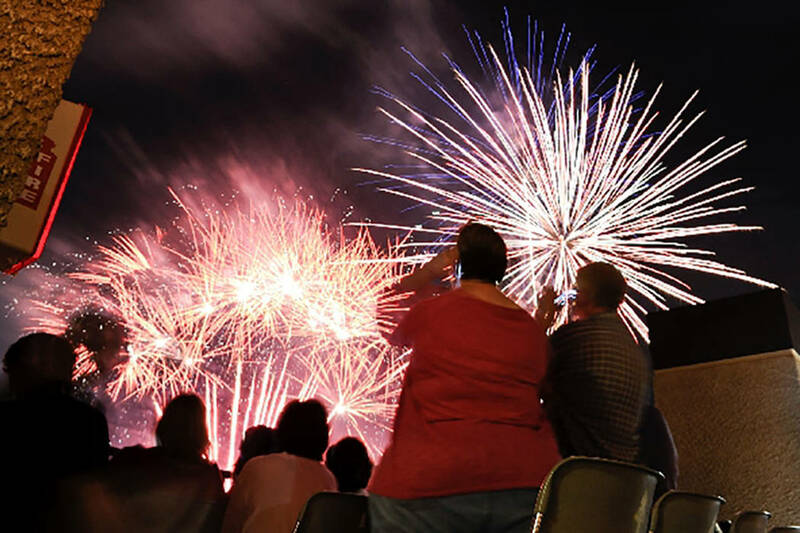 The team’s biggest show of the season will be July 3 as it hosts its annual Fireworks Extravaganza. They also have fireworks after every Friday home game. Thursday nights always draw some of the most lively crowds of the week at Cashman Field. Fans usually have to wait in long lines but in the end, they cash in on $1 beer. 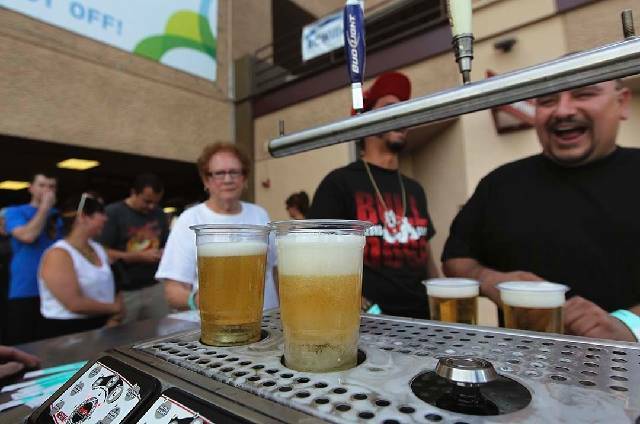 “I don’t think anyone really does dollar beers anymore around the country, but we’ve been able to stick it out at least as long as we’re at Cashman,” general manager Chuck Johnson said. Ted Giannoulas’ San Diego Chicken, also known as The Famous Chicken, made several appearances during the early days of Cashman. 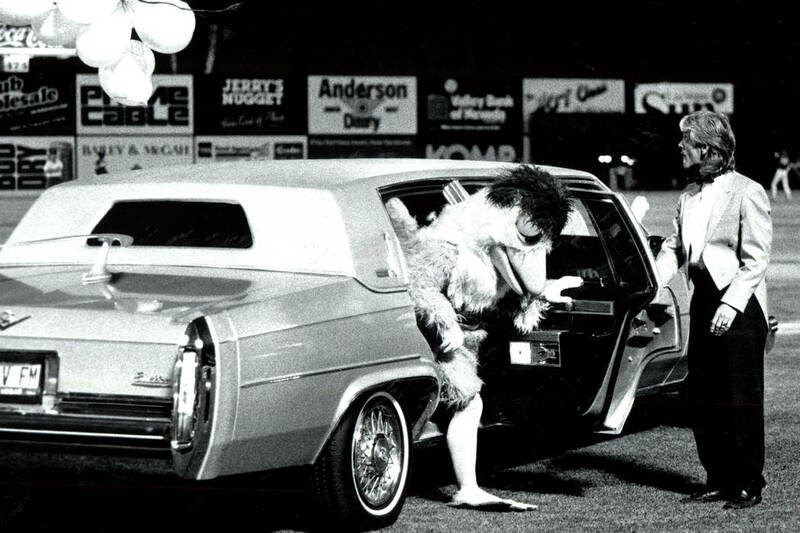 The Chicken traveled the country and entertained fans with his dancing, skits and antics, and Logan called him the “premier draw,” in baseball. 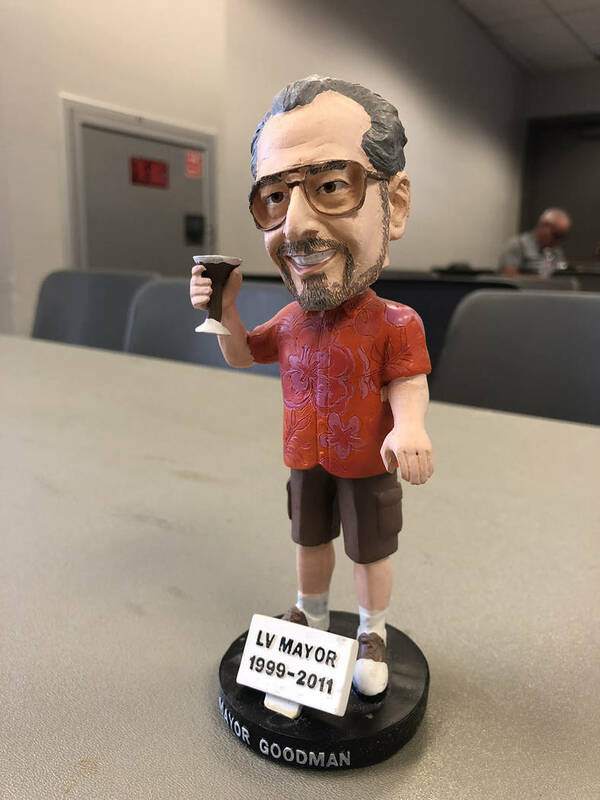 Bobbleheads of any kind are usually a pretty good draw, but the team’s Mayor Oscar Goodman series was especially well-received. Johnson said they did maybe six to eight during Goodman’s last years in office, including one of him in a Hawaiian shirt holding a martini. The 51s have been pretty conventional with their jersey giveaways lately, but no matter what, fans show up for jerseys. “I think jerseys are the top-drawing giveaway,” Logan said. This year, the 51s have already given away an Amed Rosario replica jersey and a 51s camouflage jersey. They will also give away a “51s Mets style jersey,” on July 28 and one more on Sept. 1 on Fan Appreciation night.